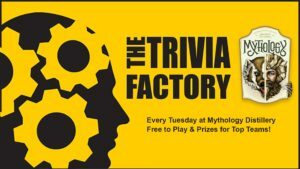 Join us for our new Trivia Night! Our weekly event is free to play and we’ll be giving away gift cards for our top teams at the end of the night. Dude, Let's go bowling. We're hosting the first annual Big Lebowski party with patio bowling, white russians all day, costume contest and live music. 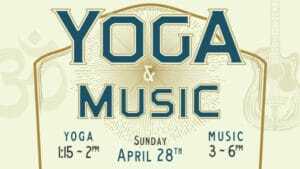 Join us Sunday, April 28th for yoga and live music! Yoga session at Mythology Distillery led by Tori Kornhaas. 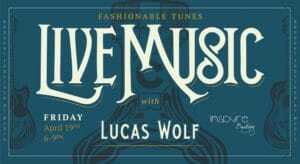 Stay after Yoga for cocktails & live music at 3pm to 6pm with the Tori Pater Band and Coty from the Drunken Hearts. 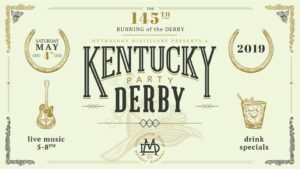 Grab your derby hat and come watch the greatest 2 minutes in sports followed by a party with Lola Rising at our Kentucky Derby Party!